Piccadilly (Pickles) is the most recent addition to our farm. 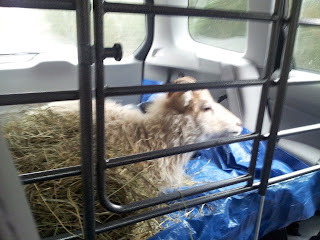 She is an Icelandic sheep, like Stinka our other sheep. Icelandic sheep are hardy, can be used for fiber, wool or milk, and can thrive on a diet of just grass, although ours are fed a diet of hay with a little grain.